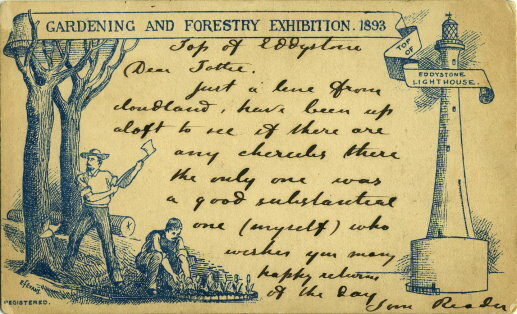 A 1888 1/2d post office issue postal stationary postcard, cancelled at Forestry Exhibition, Earls Court. Printed on reverse with lighthouse and lumberjack. Written message.